The ICCS CAN I/O sealed enable the use under harsh environmental conditions. Through the potting of the electronics in a compact plastic housing with sealed connectors the protection class IP68 is achieved. 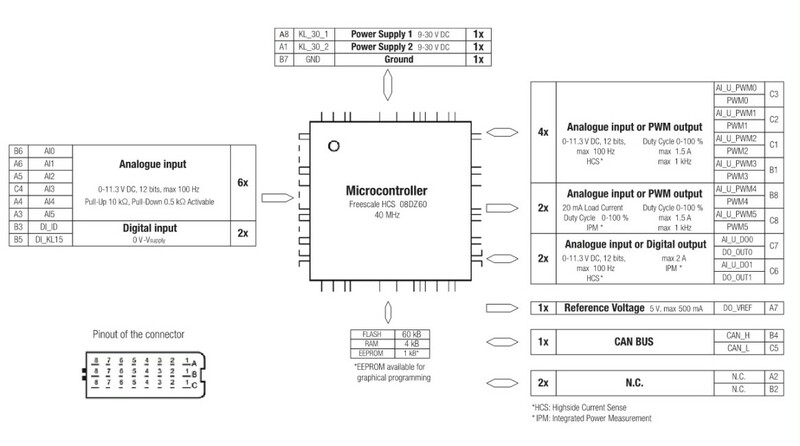 Digital information, analogue voltages and currents can be detected as input signals for processing. Two proportional valves can be controlled by pulse width modulated outputs (PWM). The valve current is detected by an integrated current measurement and can be controlled accordingly. Four more proportional outputs are available with a PWM control signal. Via the high side current sensing the output current is fed back. 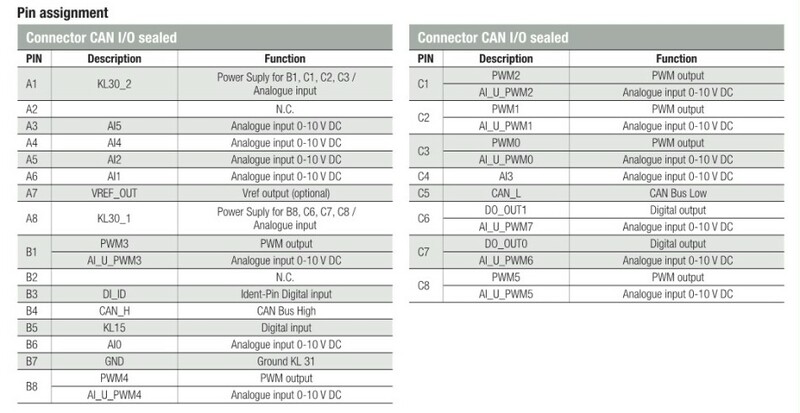 Programming the ICCS CAN I/O sealed is carried out using ICCS SDK Plus software.